Nearly 1.4 million Americans are living with Crohn’s, an unpredictable disease that often requires a lifetime of care. For seniors, the symptoms may not only cause debilitating pain but may also cause serious complications when combined with other health conditions. Because there is no cure for Crohn’s, individuals living with the disease are focused on keeping the condition in a state of remission and finding fast relief when the disease flares up. This means taking medications properly, practicing healthy habits and avoiding foods that trigger inflammation. Learn what you can do as a caregiver to help minimize recurrence and lessen their pain. As a caregiver, planning meals for patients and loved ones with Crohn’s disease can be challenging, especially if you’re unfamiliar with the disease. The most important thing to remember is that Crohn’s disease affects each person differently and may require different treatment or prevention options. The following advice may not apply to everyone. Always consult the patient’s doctor before changing his or her diet, medications, or lifestyle. If your patient/loved one doesn’t already, encourage him or her to keep a food diary, documenting which foods irritate their digestive system and cause flare-ups. 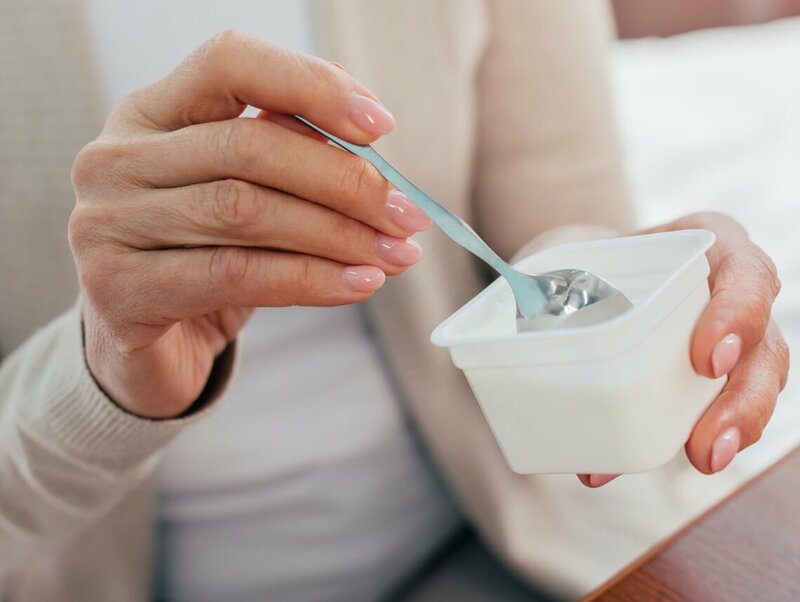 Yogurt: Aides in the recovery of the intestine. Fish: Omega-3 fatty acids help reduce inflammation. Cooked carrots: Carrots contain antioxidants which are beneficial to those with Crohn’s disease. Cheese: In moderation, cheese may help replace much-needed proteins without having to drink milk. Depending on the individual; however, cheese may further irritate the digestive system and should be avoided. Potatoes: Cooked potatoes without the skin serve as a good source of potassium, helping the body balance fluids. At Sonas Home Health Care, we understand the struggles patients face when dealing with such conditions and the concerns families have when caring for loved ones. We refer qualified and compassionate caregivers or nurses to provide patients with assistance in the home, from administering medications to meal preparation and transportation to medical appointments. Contact us directly to speak with a home health care professional and request a free in-home assessment. Together we can determine the best plan of action for your family.